Despite being in the eighth month of her pregnancy, the wife of a police officer in southwest China has been pressured to get an abortion in order to placate her husband’s employers. The 41-year-old woman, surnamed Chen, and her husband live in the city of Chuxiong, Yunnan Province. She is carrying her second child, forbidden under China’s one child policy. Chen became the subject of public attention and an online campaign when she revealed that her husband was threatened with losing his job and Communist Party membership. Chen wrote that on Sept. 4, many leaders of Chuxiong public security visited her and hoped she would “do something about the fetus,” according to a report by Chinese online news service Peng Pai. Her husband worried that even if he lost his job but kept the baby, the local family planning office which enforces the one child policy, would still intervene. On the evening of Sept. 6, heated Internet discussion took place on social platforms. Many netizens expressed their sympathy. Chen seemed to fear reprisals when contacted by Radio Free Asia. Asked if officials or police were also present, she said: “That’s correct,” before hanging up. But Chen seems adamant about keeping her child. “I won’t let the doctor inject my baby with poison. I would rather crash my car,” Chen wrote on Sina Weibo, a Twitter-like social media service, in the morning of Sept. 7. The Chuxiong City Health and Family Planning Bureau later confirmed that as Chen was more than 32 weeks pregnant (well into her third trimester), she could not legally have an abortion for nonmedical purposes, Chinanews.com, a mainland news site, reported. James Jianzhang Liang, CEO of Ctrip.com, told Peng Pai that he has been paying attention to planned birth policy and he hopes the Chens will keep the baby. If Chen’s husband would lose his job, he’d arrange a position for him at the website’s branch in Kunming, the capital of Yunnan Province. Will Americans Accept Organ Transplants From Aborted Fetuses? Communist cadres in Shandong Province found that they could outsource the paperwork associated with forced abortions to business-wise middlemen. 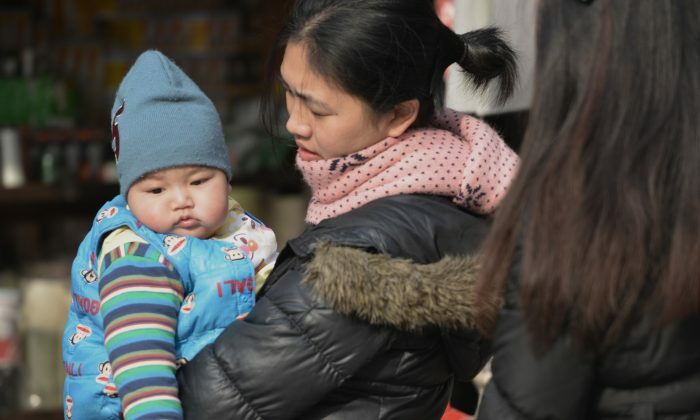 The case of a woman who was forced to abort her seven month baby girl (fetus) has stirred debate in China over the country’s one-child policy.